2 sketch shows for the price of 1! 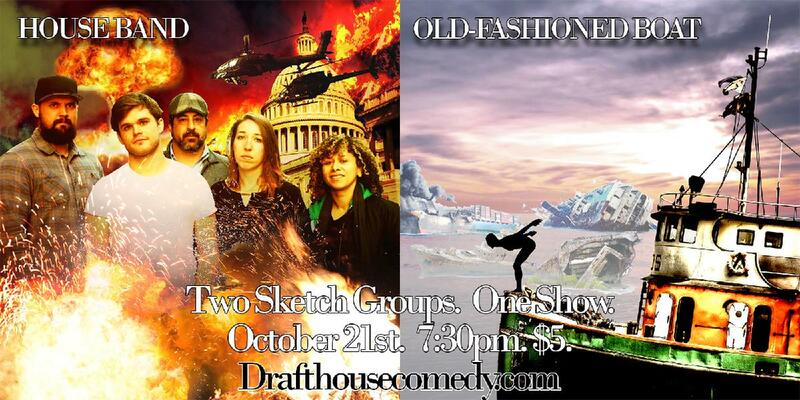 DC Drafthouse’s premiere sketch groups, The House Band and An Old-Fashioned Boat Show, will put up an hour show of fun filled, fast paced, in your face sketch comedy. Characters. Screaming. Uncomfortableness. Laughs. Crying. More Screaming. This show will have it all. We Hope!